Animal Wildlife | Crab-Eating Macaque | The crab-eating macaque is a medium species of monkey, found in the tropical and sub-tropical forests and jungles throughout South-East Asia. The crab-eating macaque differs from other macaque species in the fact that the crab-eating macaque has a long tail which is about the same length as it's body. The crab-eating macaque is widely dispersed across the South-East Asian jungles and are found in a variety of different habitats. 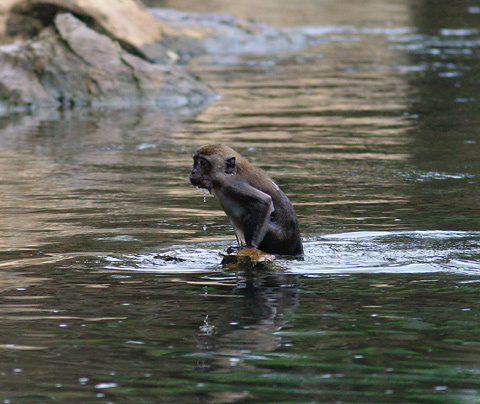 The crab-eating macaque generally settles in areas that are close to water over a wide range of habitats including lowland forests, tropical jungles and mangroves. 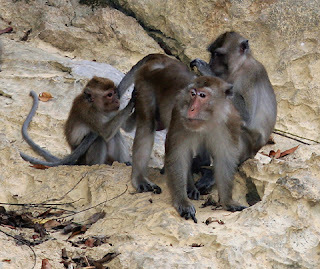 The crab-eating macaque is a highly sociable animal and lives in groups containing between 5 and 60 crab-eating macaque individuals. 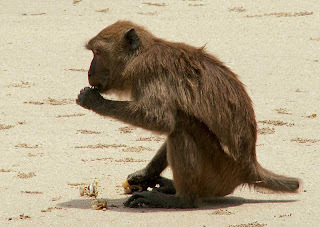 The crab-eating macaque troops are centred around the female crab-eating macaques are they remain in the same place for their whole lives. There are often half as many males in a crab-eating macaque troop than there are females. The crab-eating macaque is an arboreal primate meaning that it spends most of its life in the safety of the trees. The crab-eating macaque has a long tail which helps it to balance and sharp nails and its fingers to toes which help with grip. Despite its name, the crab-eating macaque does not only eat crabs and in fact at least 50% of the crab-eating macaque's diet is made up from fruits, nuts and seeds. 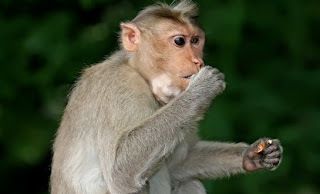 The crab-eating macaque also eats insects, small reptiles, amphibians, fish and crustaceans. The crab-eating macaque is relatively small in size and therefore has a number of predators within its natural environment. Tigers and large reptiles such as snakes and crocodiles are the main predators of the crab-eating macaque along with large birds of prey like eagles who prey on the smaller crab-eating macaque individuals. Although the crab-eating macaque is not considered to be a animal under threat at this time, habitat loss in the form of pollution but primarily deforestation is causing sever declines in the crab-eating macaque population numbers. 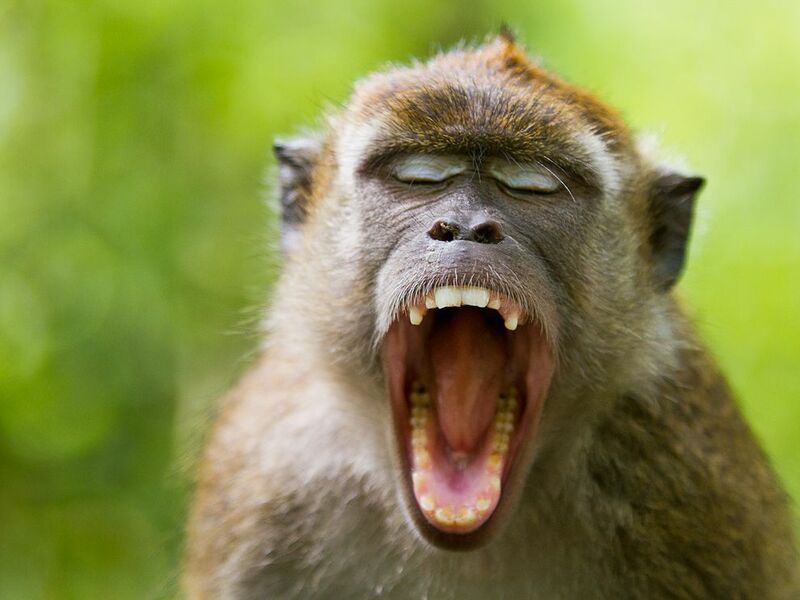 0 Response to "Crab-Eating Macaque"